We have been told for years not to clean mushrooms with water, that their sponge-like quality will absorb the liquid and make the mushroom bloat and become bland. But after many experiments by several expert chefs, it has been proven that mushrooms absorb only a tiny amount of water when exposed. And, in fact, mushrooms are made up of 90 percent water, so an additional minuscule amount is not going to make any difference. All varieties of mushroom can be cleaned via the method we outline below (with the exception of morels—those you need to clean with a brush). This is life-changing, right? No more wiping or brushing each mushroom one by one! There is a phrase, "Mushrooms need a shower, not a bath," meaning it is best not to soak fresh mushrooms but instead to rinse or dunk them quickly in water. You can place them in a colander under cool running water, shaking the strainer to move the mushrooms around and release the dirt. Another method is to place the mushrooms in a bowl of water and toss them around until you see all of the dirt come off of the mushrooms and enter the water. This should only take a few seconds. Immediately afterward, place the mushrooms on a towel and gently pat dry using another towel. 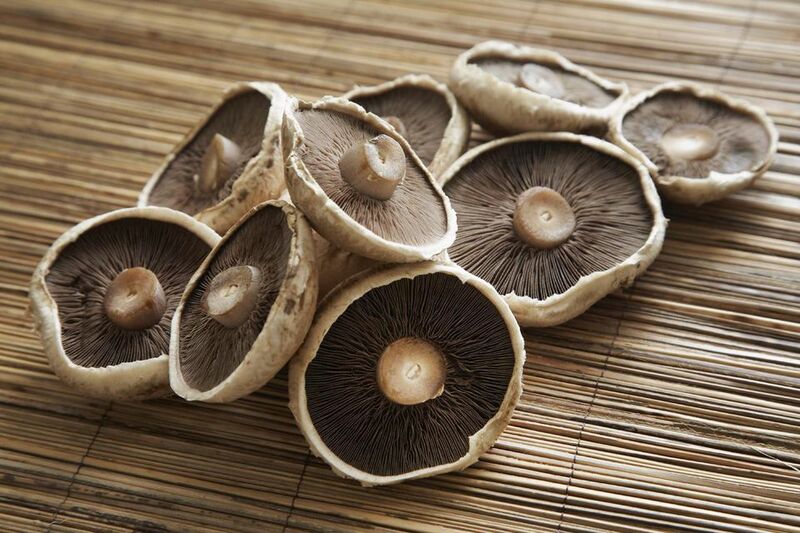 Whichever method you choose, the rinsing or dunking should be done right before you plan to cook the mushrooms. If you are a traditionalist (or a naysayer), you can still clean your mushrooms with a brush or a paper towel. Since commercially available mushrooms are grown in a sterile medium, invest in a soft mushroom brush and simply brush away any clinging dirt. If you don't seem to be making much progress, wipe them with a damp paper towel. When preparing mushrooms for a recipe, there is no need to peel them. In fact, peeling mushrooms nullifies most of their flavor. Simply trim off any damaged spots and tough or dirty stems. Be aware that salt releases the water in mushrooms, so, while cooking, judge the salt usage accordingly for your particular recipe.